Replacement of O.E.M stereo – The factory stereo gives you minimum functionality and these units do not have pre-amp outputs, therefore you cannot get best of sounds if you connect an amplifier. These are the stereo meant to be made for each car as per the design of the dashboard. This unit smoothly, unobtrusively fits into your car's original dashboard design. There is no cutting, no splicing, absolutely no modification - just a true Plug & Play experience! These units match the original equipment manufacturer's (OEM) dashboard size, curvature, colour, design and even the colour of backlighting perfectly. The OEM look is also not compromised at all. Available for almost every car from the brands we stock like CASKA, MOTEVO, MAP MY INDIA, AUDISSEY. DVD Full Touch Operations, Virtual 6 Discs CDC, iPodTM and MP3 compatible, Bluetooth hands-free, with A2DP, Support steering wheel control, Intelligent GUI operation, USB port, Dual Zone, Screen Saver, SD card port Multimedia, Digital TV (optional), HD navigation (optional), Back-up Camera (optional), Handbrake control (optional). 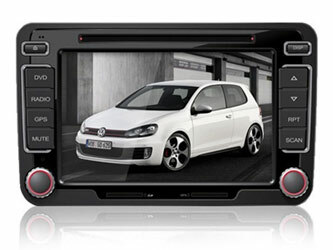 Available for almost every car- with these kits you can install any size player (Single Din , Double Din or Touch Screens) to match your requirements without having any gaps in the dashboard and wiring cut - possible with the use of the required connectors available with us and there by not hampering the warranty of the car. Also you can use the same steering wheel remote of the car for audio features (requires a separate interface-available with us) on to your new headunit.